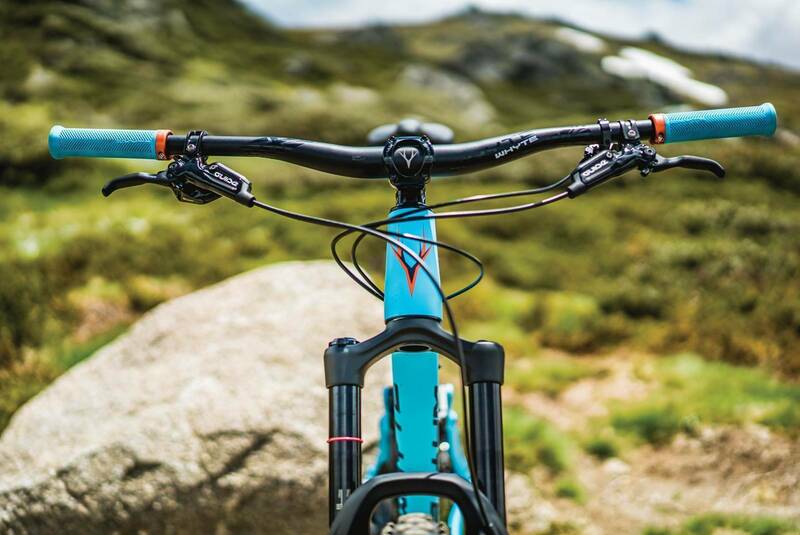 Proudly British, the Whyte G-170 S is a beast of a bike and you can tell simply by looking at it that not much is going to get in its way or hold it back! 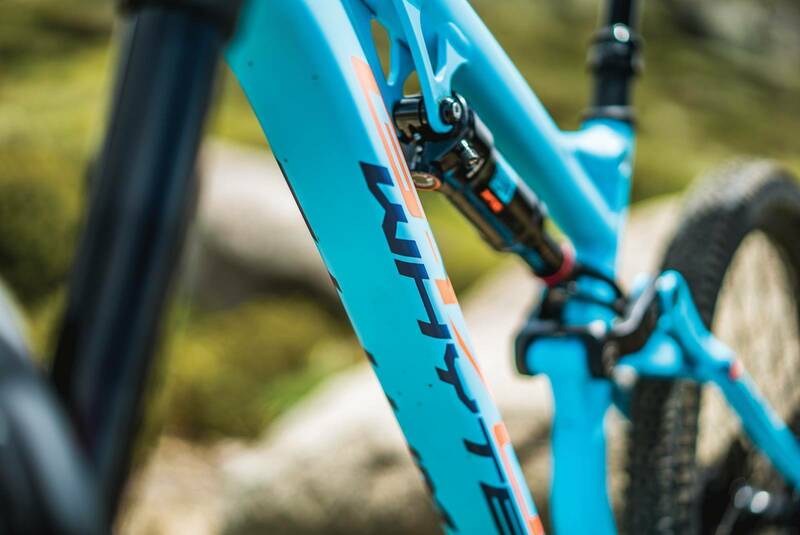 The new Whyte G-170 range is a direct result of rider feedback and developments from Whyte’s Enduro World Series Team and the platform comes in three models – two with carbon mainframes and alloy rear ends and one with a complete alloy frame (the G-170 S we tested). The result of these improvements sees the creation of a longer and slacker bike over previous models available within the Whyte range – even for Whyte who pioneered long and slack. You can also see an update to their already extremely well-performing QUAD 4 suspension layout that has been optimised for metric shocks in both air and coil spring. The QUAD 4 system also delivers some high quality Enduro bearings installed in the pivots that helps increase the performance of the QUAD 4 suspension layout. Some other notable features that riders will appreciate are the ability to fit a full 700ml water bottle in the frame even when running a piggyback shock. It is crazy to think that the ability to carry a water bottle is often overlooked by designers. 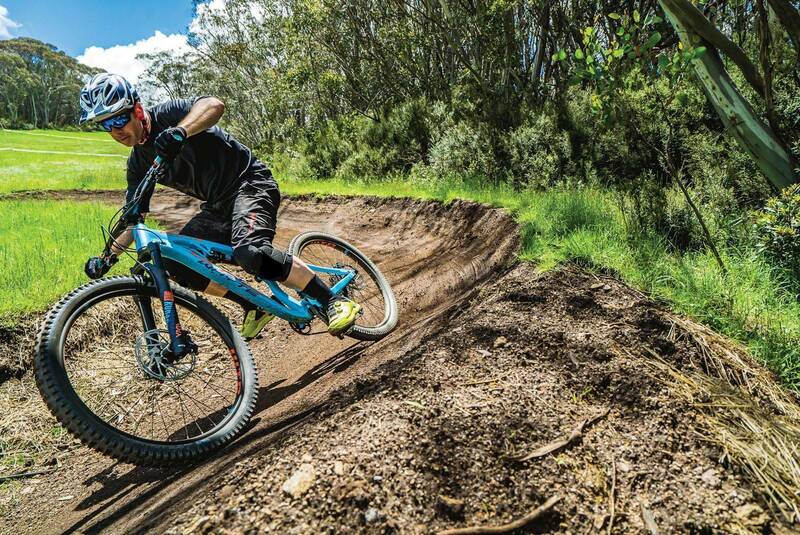 The Whyte is peppered with features to help with the life of your bike. Neat industrial-looking bearing covers help with longevity of your pivot bearings. Other nice features that may not be such a big deal for us here in hot dusty Australia are the massive amounts of mud clearance and weather seal around the seat post. This massive amount of mud clearance also allows you to run some very wide tyres with no issues at all, right through to 2.8” plus size tyres. 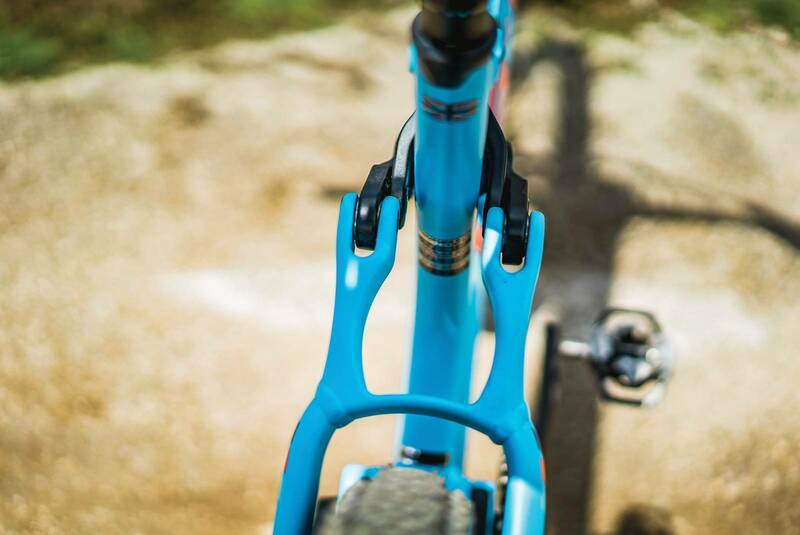 One of Whyte’s signature looks is its integrated seat clamp system called InterGrip, which helps Whyte increase the standover height and allows them to incorporate a cool weather seal to keep out water and other muck from the seat post. When it comes to the numbers and sizes of the G-170 S this is going to be more about personal preference or riding style then about how tall you are. This is due to the standover height across all sizes tending to not change very much and can be further attributed to the InterGrip seat clamp. Because of this, when it comes to picking a G-170 S, it’s best to look at the reach or top tube length and what you feel will work best for you in this department. As the name would suggest the G-170 S has 170mm of travel in both front and rear and is a direct result of feedback received by Whyte from their race team. The new longer travel and slacker ‘Enduro Race Bikes’ are becoming more and more popular with the general rider due to their ability to be able to climb to the top of a trail and descend with almost no regard for anything in their way. 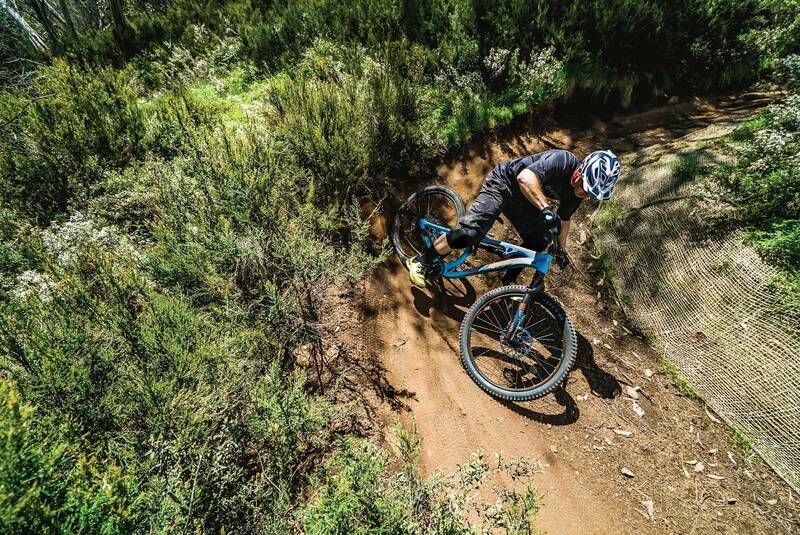 The downside to the very capable longer travel bikes – like our test G-170 S bike – is that in Australia we don’t have a huge amount of trails that can make full use of them and their abilities. The G-170 S is the entry point to the broader G-170 range from our British friends at Whyte and comes with a build kit that reflects this and its price. In the suspension department you are seeing the incredibly good value and well performing RockShox Yari RC fork up front, while out back helping the QUAD 4 system reach its 170mm travel you have a metric RockShox Deluxe R rear shock. These two components are perhaps the most important when it comes to the G-170 S and we have to say that Whyte has done a great job in pulling together the spec list and budget. Next up we see a set of SRAM Guide R brakes using a wisely spec’d 200mm front rotor and 180mm rear rotor. The Guide R shares the same four piston calliper you see on all of its bigger brothers but with just less adjustment at the lever for fine-tuning. 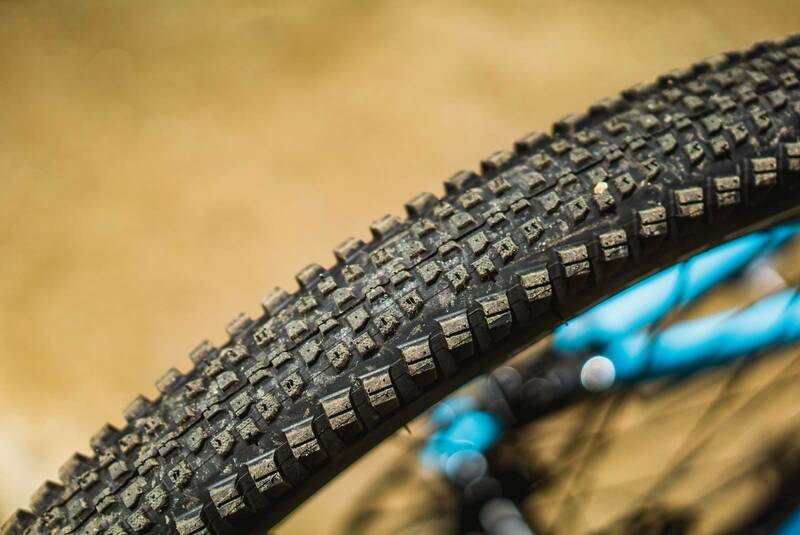 Helping support the big travel G-170 S is a set of WTB STp i29 tubeless ready rims using some reliable and impressively grippy WTB Convict and Riddler tyres. There is an odd ball within the spec list is the drivetrain. 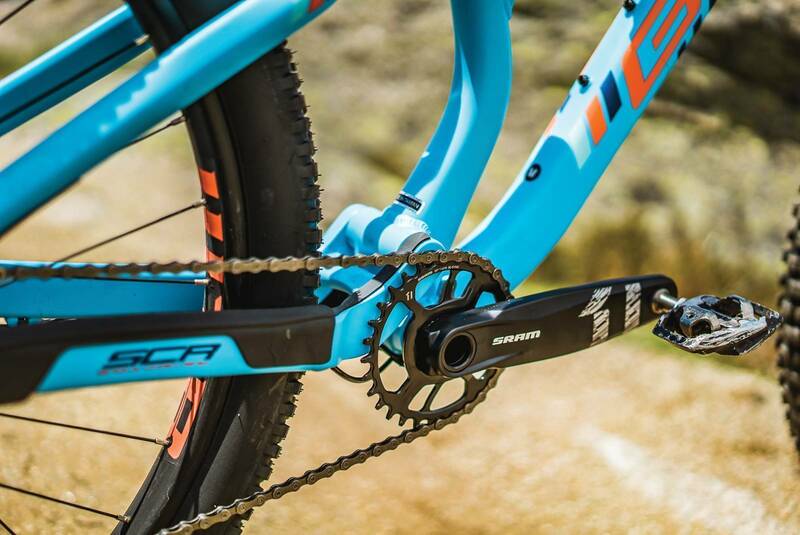 Whyte have gone for a mix of SRAM GX and NX components resulting in an 11-speed drivetrain. While this most certainly is a contributing factor in keeping the overall costs down, it does limit what you might be able to do by not having the bigger gear range found in 12-speed setups from SRAM, or 11-speed options from Shimano, OneUp and E13. Finally, and rounding out the specs, we see Whyte contribute their own developed components, which not only adds a lovely personal touch to the bike, but it’s very much a standout product – their own dropper post known as Drop.it. 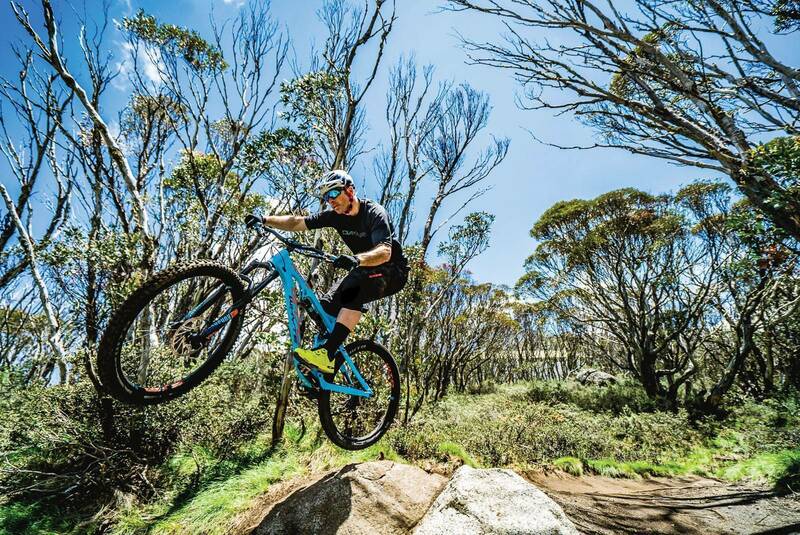 In order to make full use of the G-170 S the AMB crew took a trip over to Thredbo Resort where we had access to varying types of terrain – from the leisurely Thredbo Valley Trail all the way through to their renowned Cannonball Downhill track. Setting the G-170 S with 30% sag in both front and rear we setoff pushing it as hard as we could, using every trail available to us (after all, it is a race bike). Speed really was where this bike shined ever so brightly; it’s so stable due to its length and excellent suspension that you really do feel like there is not much that you can’t do once you get going. The bottomless rear suspension helps you get away with all but the worst line choices! Plunging through those tighter and flatter trails further showcased that this bike really is a great descender. Typically a bike with such a long wheelbase and reach can be tricky to navigate through such turns, however, the G-170 S feels comfortable and confident soaring down. Note however, the longer wheelbase means a more aggressive style is needed to muscle the long-legged bike through turns. This isn’t exactly a bad point of the G-170 S, it is really just the trade-off for being such a great descender. If Whyte were to include a larger gear ratio for longer climbs the G-170 S would reward you for your efforts, but we keep coming back to the G-170 S not having this - especially when slogging it up a long climb aboard a 170mm travel bike, no matter how well it pedals. This, however, is not an issue for other models within the G-170 range and enables the broader range to deliver a complete package bike. 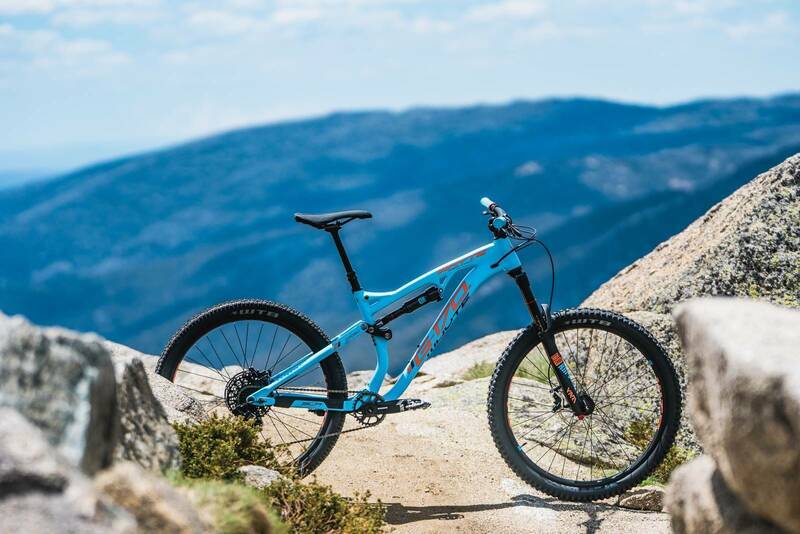 If you have access to tracks that can match its all-out-brute-force approach to taking on some of the most challenging and technical trails globally, then the Whyte G-170 S could just be the bike for you in 2018.